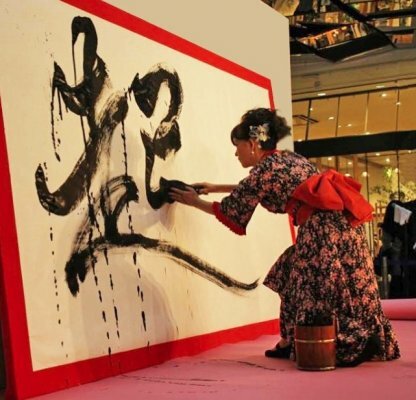 In ancient Japan, writing brush and sumi ink are used for writings. 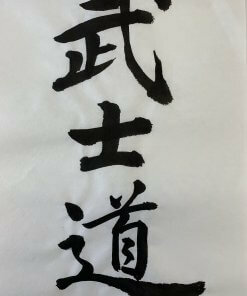 We sometimes call it shodo, or Japanese calligraphy writing. 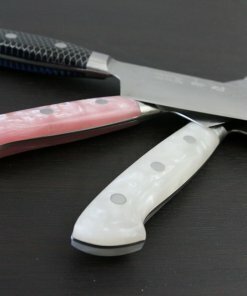 In modern times, they were alternated by pencils and ballpoint pens. These stationeries, however, will be alternated by digital devices such as keyboard and smartphone in the future. 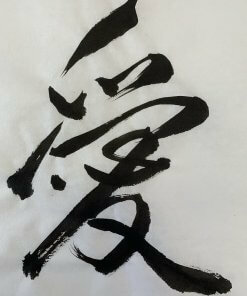 Thus, taking notes with sumi and brush is almost relic of the past. 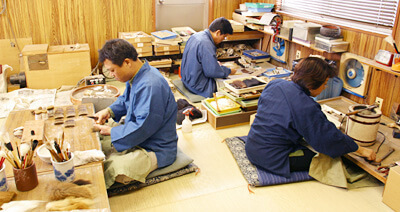 However, those shodo techniques are used in different place – in art. 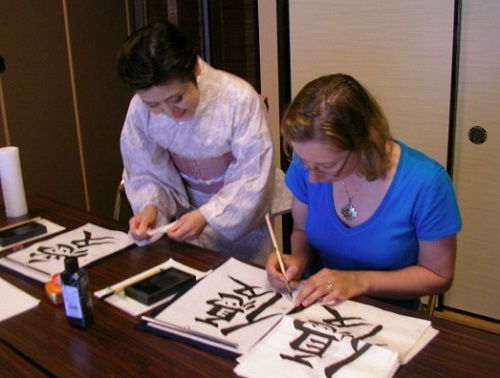 Artists or calligraphers use their shodo or calligraphy writings to express writing characters like drawings. 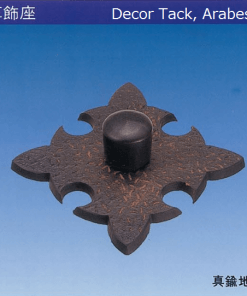 This category is called shodo art, design art, or sometimes interior art. 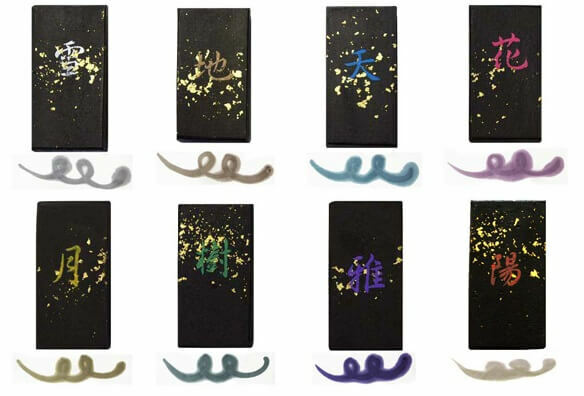 In other words, it is a new type shodo to express artistry of calligraphy writings in new styles. 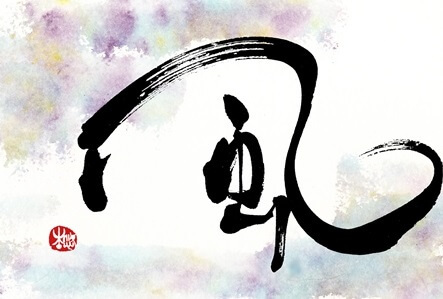 In this post, let’s take a brief look at the world of shodo art. 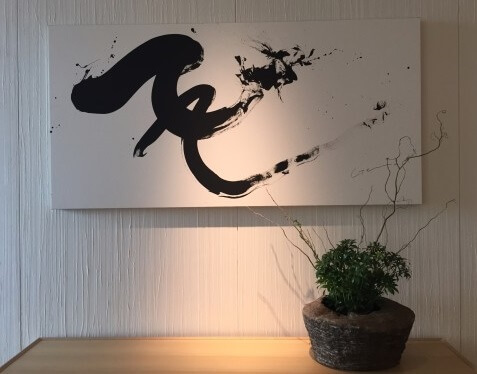 To begin with, shodo is to write Japanese characters by writing brush and sumi ink. 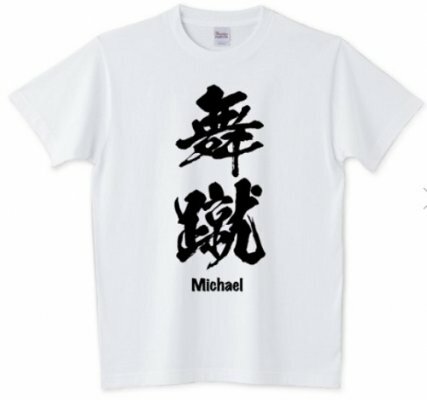 And it is supposed to follow the official shapes of Japanese writing characters. 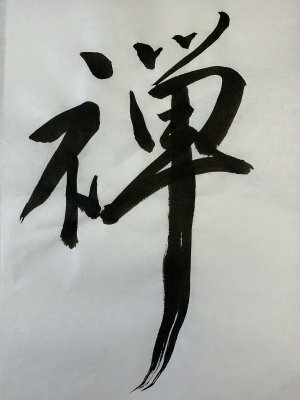 Sometimes you may see writing characters are deformed in shodo writings, they are following rules to deform characters. 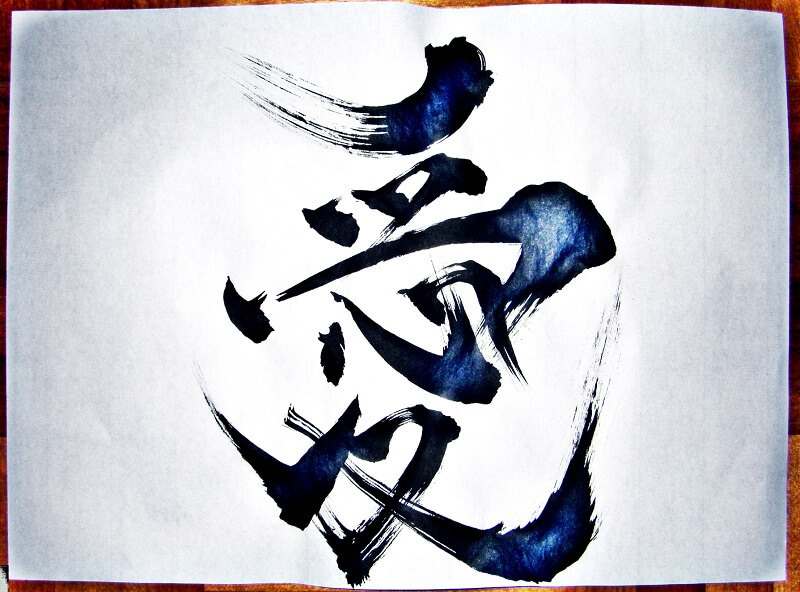 Therefore, any shodo works, including deformed writings, can be said whether it is good or bad. 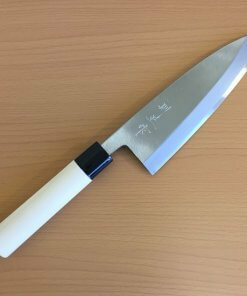 On the other hand, works of shodo art are outside those official shodo assessment. 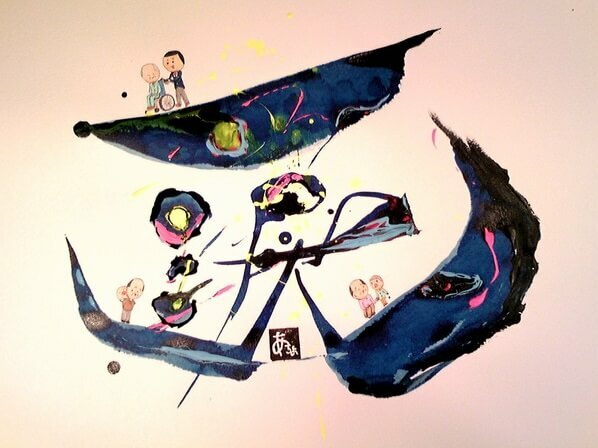 Because they are art works, it is accepted to deform characters freely by artists. 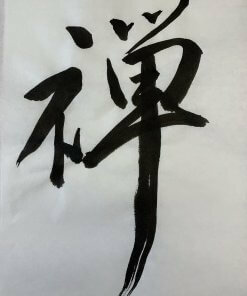 Shodo art is completely different category from traditional shodo and unfollow strict rules for deforming characters. 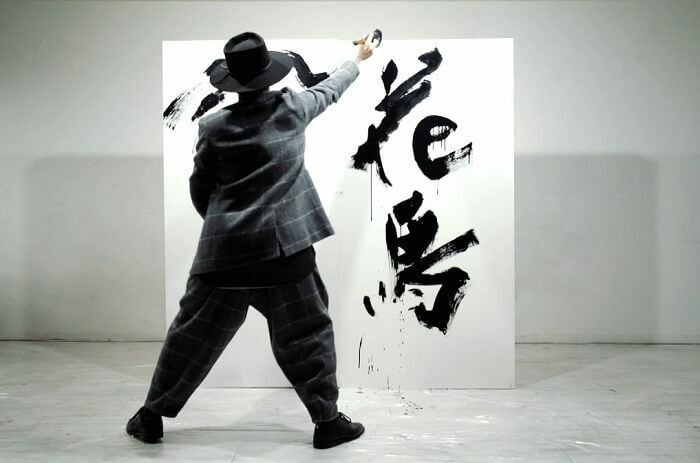 Shodo art sometimes comes with performances and “show” to play with audience, which are never happen in traditional shodo category. 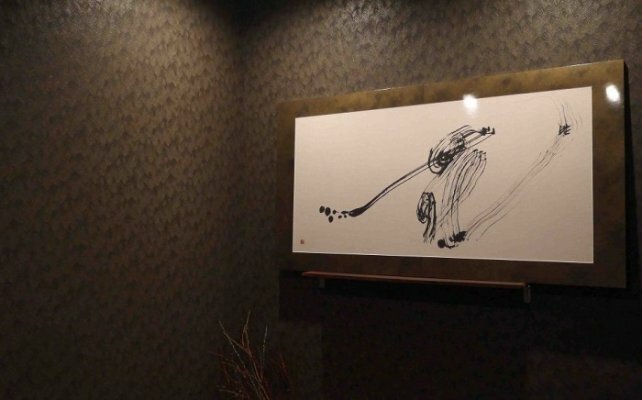 Therefore, art shodo is sometimes called as “recreation” shodo. 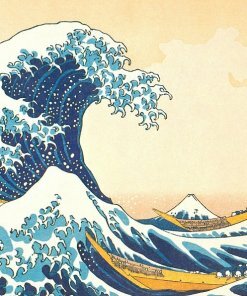 Here, let’s see some examples in shodo art works. 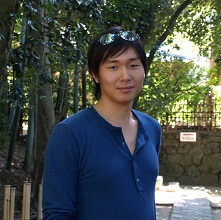 Using computer graphics, shodo works are converted into digital design materials. 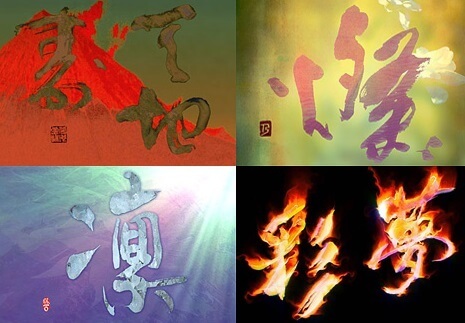 On top of hand-written shodo works, digital designers add effects by computers to make advertisements, product packages, logo marks and other merchant designs. 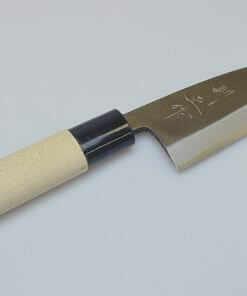 Thus, shodo is also used in various places as these design products. 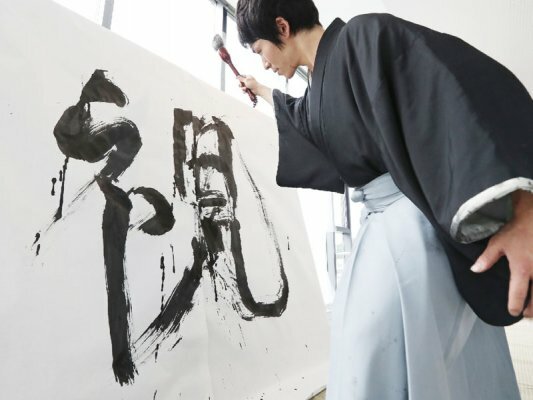 A point here is that, those digital designers don’t have to understand essence of traditional shodo; nor they need any techniques to use writing brush and sumi ink! What they need is just their design sense and graphic skills, which enables young designers to enjoy their designer activities.